Caution! 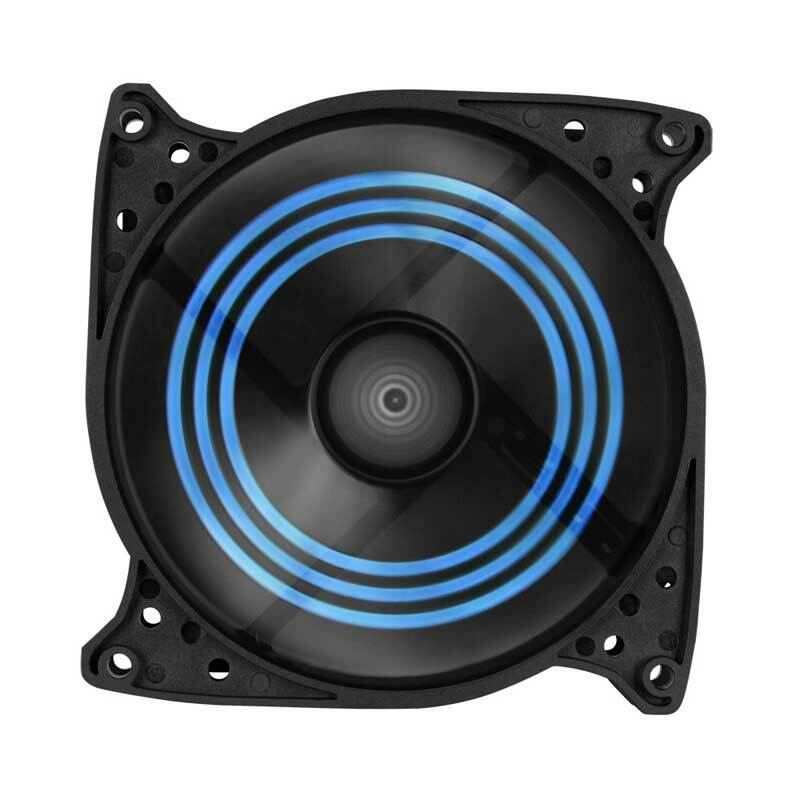 If you think you know everything about cooling fans, get ready to be surprised! This fan is different, very different. It’s a triple attack approach to a silent and cooler system. First: wind noise? Not here! The special 3D curved design with striped air guides steers the airflow straight through the fan blades, thus preventing air turbulence - the main cause of wind noise. 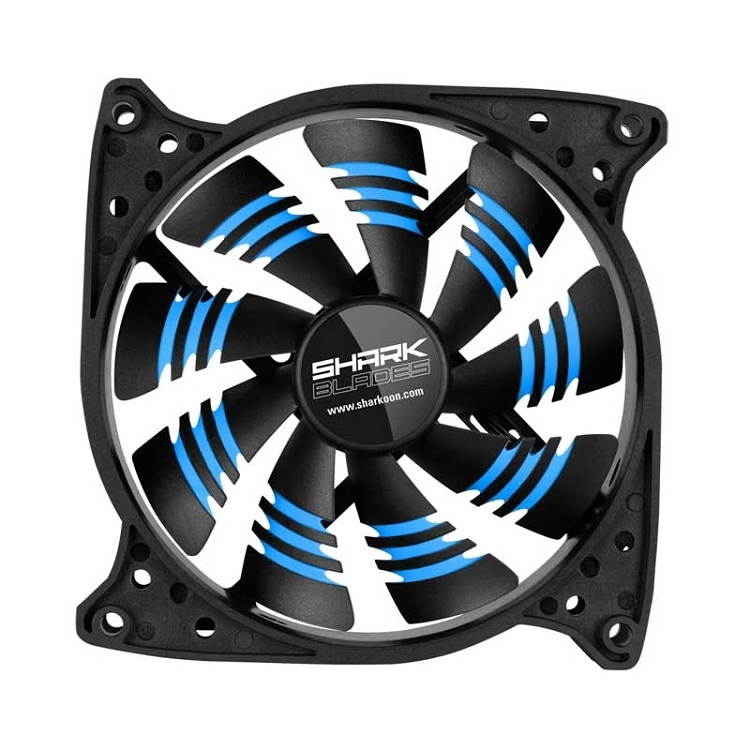 Even after many hours of use, the fan remains silent due to the end of the guides having special ‘shark’ teeth to reduce both drag and dust build-up. This shark can bite, so chose one of the several different brightly colored air guides to confirm that it’s running (since you won’t hear it…) in order to protect your fingers while working inside your computer. 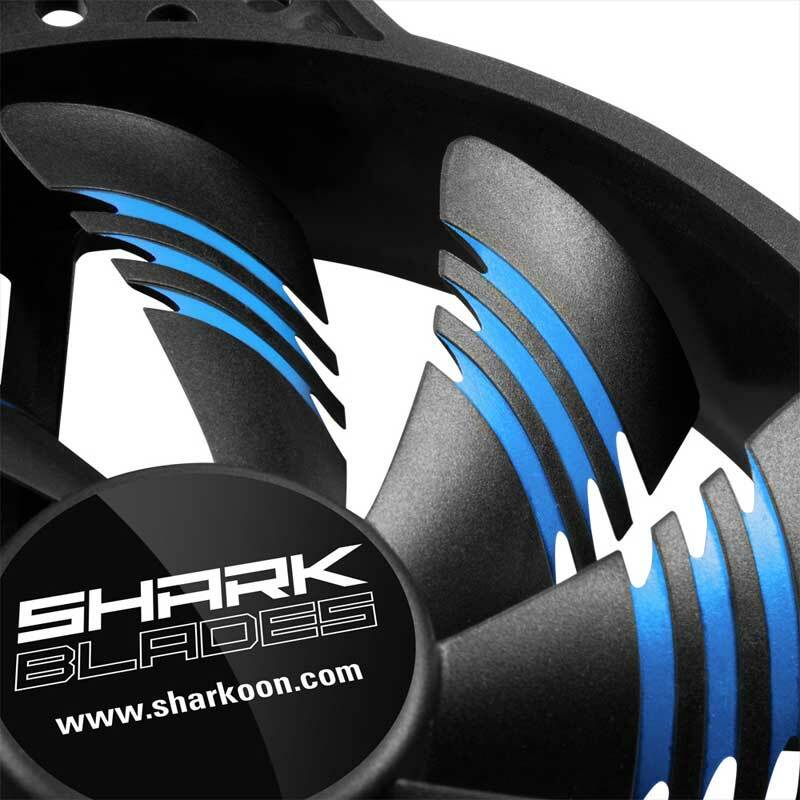 The SHARK Blades are equipped with a fluid bearing for long life and ultra-smooth operation. Fluid bearings are used in many high-performance hard disk designs and are popular for their smooth operation and long lifespan. The fan blades are precision balanced to avoid vibrations. Third: Controlled power. With its 120 mm diameter, optimized airflow and powerful, yet silent motor, there is plenty of cool air available for your system. 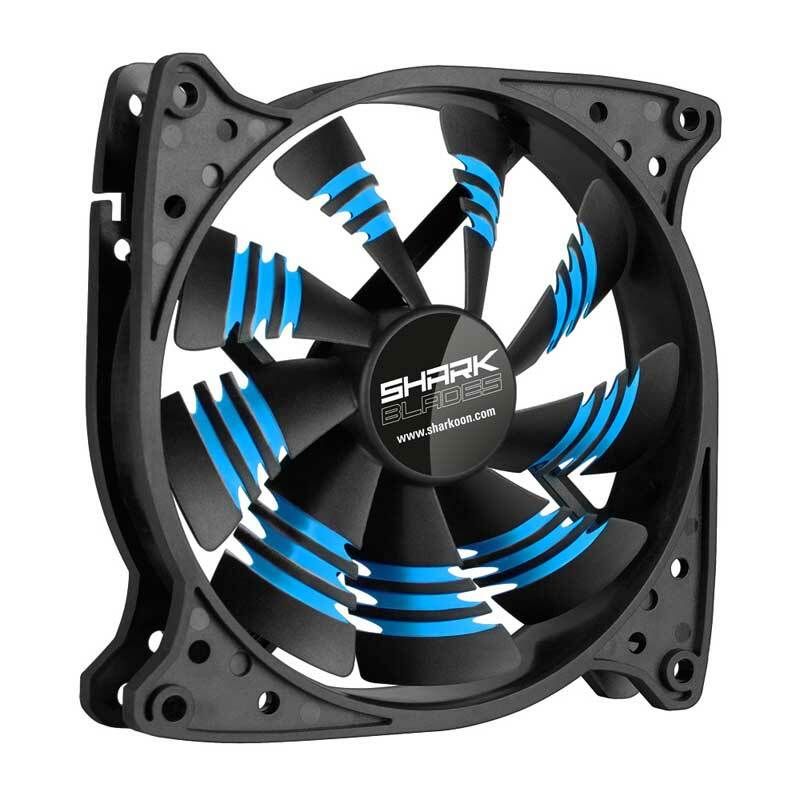 The SHARK Blades are powered directly from the power supply, using the included adapter plug or a 3-pin socket for a temperature controlled run.